Comic Book Chronicles Ep 285: For Comic Books Who Are About To Rock! This week, Agent_70 recounts his time at New York Comic-Con, then, he and Roddykat discuss the fate of a useless character that shows up in Avengers #9 which came out this week. Oh, and a better off forgotten Avenger, as well. 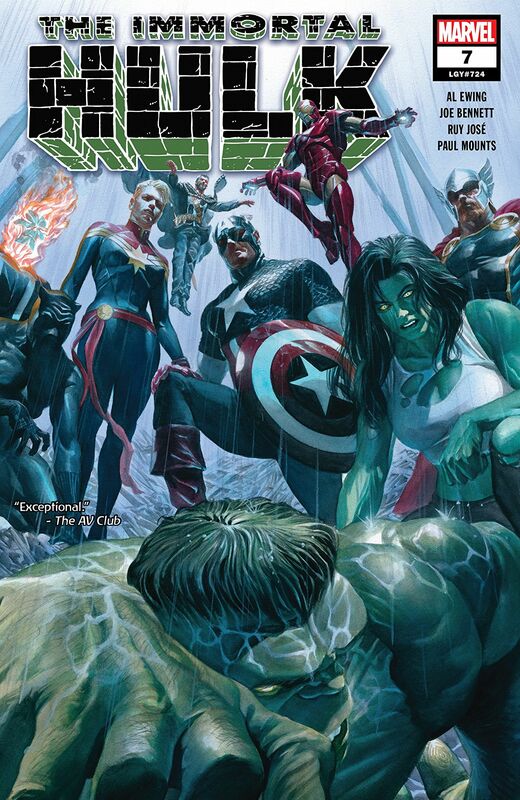 The Avengers also show up in Immortal Hulk which seems to evoke a popular tv show at the end. And speaking of tv shows, there’s plenty of news coming out of NYCC that the guys talk about including Riri Williams making her animated debut in an upcoming Marvel Rising special. And another Star Trek crossover is coming, this time it’s a pretty big one for fans. Toy news galore! And prepare to have your face melted as the #kliqsoftheweek are fueled by the power of pure awesome! Nothings gonna stand in our way…not tonight!